For the tube station, see Ruislip tube station. 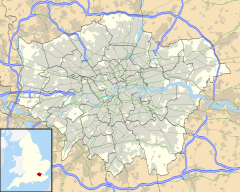 Ruislip (/ˈraɪslɪp/ ( listen) RY-slip) is an area in West London, England, which is part of the London Borough of Hillingdon. Ruislip lies 13.8 miles (22.2 km) west-north-west of Charing Cross, London. It is an ancient ecclesiastical parish in Greater London which lay in the historic county of Middlesex. The parish appears in the Domesday Book, some of the earliest settlements still exist today, designated as local heritage sites. The parish church, St Martin's, dates back to the 13th century and remains in use. The buildings at the northern end of Ruislip High Street form the core of the original village square and are now Grade II listed. It originally featured a central water pump which was moved out of the road in the 1970s as a result of increased traffic. Major landmarks in the area include Ruislip Lido, a former reservoir, now an area of public parkland with its own miniature railway and Manor Farm, a settlement dating from the 9th century which is now designated as a local heritage site. Ruislip is included within the Ruislip, Northwood and Pinner and Uxbridge & South Ruislip Parliament constituencies and is covered by three electoral wards within the local council. As of the 2017 general election, Ruislip is represented by two Conservative MPs: Boris Johnson and Nick Hurd. At the time of Edward the Confessor, the parishes of Ruislip and Ickenham belonged to a Saxon named Wlward Wit, a thane of the king who owned land in 11 counties. Ruislip parish included what is now the modern Ruislip, Northwood, Eastcote, Ruislip Manor and South Ruislip. 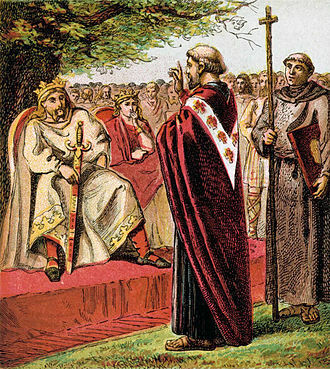 Wit lost much of his land during the Norman conquest of England; Arnulf de Hesdin took control of Ruislip – his ownership is recorded within the 1086 Domesday Book. M. Arnulf [Ernulf] of Hesdin holds Rislepe [Ruislip]. It is assessed for 30 hides. [a] Land for 20 ploughs. In lordship 11 hides; 3 ploughs there. There are 12 ploughs between the Frenchmen and the villagers; a further 5 possible. Pasture for the village livestock; a park for woodland beasts; woodland, 1500 pigs, and 20d too. Total value £20; when acquired £12; before 1066 £30. Wulfward Wight, a thane of King Edward's, held this manor; he could sell it to whom he would. Under Edward the Confessor, Ruislip had been valued at £30, though the reduction to £12 by the time Ernulf de Hesdin took possession is believed to have been caused by a passing unit of the Norman Army taking crops. This led to the construction of buildings at Manor Farm to protect produce. Before leaving England to fight in the Holy Lands, Ernulf de Hesdin gave ownership of Ruislip to the Benedictine Bec Abbey in 1087. He died fighting and is commemorated in annual masses held in June at Sacred Heart Church and on the remains of the Motte-and-bailey at Manor Farm. St. Martin's Church was built in the 13th century. The parish church, St Martin's, has been dated to the mid-13th century. 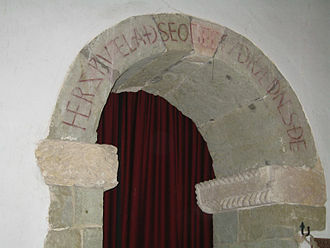 An earlier church is believed to have been built during the Norman period, as a stone was found within the grounds with markings from that time. The name St. Martin is believed to have been given to the church by the monks of the Bec Abbey, after Martin of Tours, a saint in Normandy. Before 1245, references to the church only name it as "Ruislip church". The present church was believed to have been built upon the insistence of the Proctor-General, William de Guineville, under the ownership of Bec Abbey, to serve the growing population. He used the priory at Manor Farm as his main residence The first recorded vicar was William de Berminton in 1327. The building itself has been remodelled in parts over the centuries and was substantially restored by George Gilbert Scott in 1870. It received Grade B listed status as an Anglican church in 1950, corresponding as Grade II. 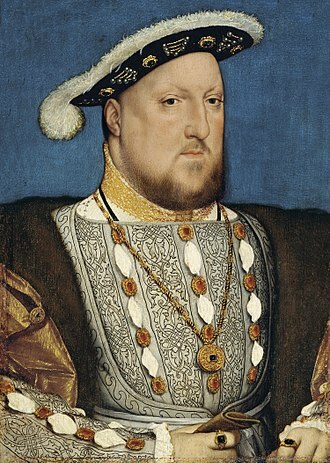 Under the ownership of the Bec Abbey, timber from the woods around Ruislip – Park Wood, Mad Bess Wood and Copse Wood – was used in the construction of the Tower of London in 1339, Windsor Castle in 1344, the Palace of Westminster in 1346 and the manor of the Black Prince in Kennington. The woods were coppiced on rotation throughout the years with the timber sold to local tanneries. By the time King's College took ownership of the manor, the woods were let for sport, with pheasants kept for shooting. In 1812, Bishop Winnington Ingram School was established by the vestry of St Martin's church in Eastcote Road. The school had 111 pupils by 1845 but fell into a state of disrepair until it was rebuilt in 1931. Ruislip came under the jurisdiction of the Metropolitan Police in 1845. By 1869, the police were renting a house in the High Street to serve as the local police station, the copyhold of which was purchased in 1873. A new station was built in The Oaks in 1961. In 1863, the White Bear public house came under the ownership of the Harman's Brewery in Uxbridge. It had been built close to Primrose Hill Farm near the junction of the Ickenham Road and Kings End. Kings End was a hamlet, with one building dating back to the 16th century. It was named after a family who had lived there at that time. A well was sunk in 1864 in the High Street at the junction with Bury Street, constructed by Mr Charles Page from Uxbridge. 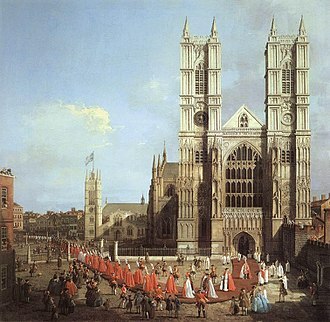 The first 15-foot (4.6 m) were dug, before 90.75-foot (27.66 m) was bored through the London clay and the final 30-foot (9.1 m) was cut through chalk. A drought in 1898 led to the parish council requesting a well be created on what are now the Pinn Meadows, to make use of the natural spring there. The Colne River Water Company agreed, upon the guarantee of £45 per year, and the service was established. A report had been prepared for the parish council in 1903 which noted the population in Northwood – 2,700 by that time, with 530 houses – compared with the largely rural character of the rest of Ruislip parish. At a meeting of the Ruislip parish council on 28 October 1903, the forthcoming extension of the Metropolitan Railway from Harrow on the Hill to Uxbridge was also discussed as it was known that a station would be opened in Ruislip on the new line. Councillors were also aware that King's College, Cambridge, owners of much of the land in the parish and lords of the manor, were planning to sell some for development. With this in mind, a vote was cast which went in favour of becoming an urban district. 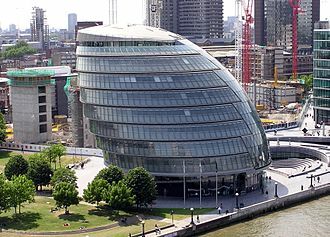 The new district was designed to better reflect to increase in development, as councillors felt a parish council would work slower than an urban district. The first train on the new railway line ran on 30 June 1904, and the new station at Ruislip opened on 4 July. The area became popular with ramblers, who would head to the Ruislip Lido, and general day-trippers who sought out the countryside. Local residents in Ruislip established their own tea gardens, which they advertised for the visitors. In particular, the Poplars, a Georgian house built in 1774 on the corner of the High Street and Ickenham Road, opened a tea garden in the grounds. It was eventually demolished in 1929 to make way for shops. A similar establishment was opened in light of the new railway on the corner of Sharps Lane, known as the Orchard Bungalow. It was eventually expanded and became The Orchard Hotel. The new urban district was formed on 30 September 1904, covering the parish, which had previously been part of the Uxbridge Rural District. At the time the parish incorporated Ruislip Manor, South Ruislip, Eastcote and Northwood. The new urban district council held its first meeting at Northwood School on 1 October, the day after forming. King's End was developed as a residential road in the early 1900s. By 1907, the first of the new homes were completed and residents began to move into them. The road was named King's End Avenue, though reverted to the original name of King's End later in the century. The district experienced a sharp rise in population, from 6,217 in 1911 to 72,791 in 1961, caused by the extension of the Metropolitan Railway, termed Metro-land, which brought with it an increase in suburban house building. As a consequence, the district was one of the first in England to devise a statutory planning scheme in 1914, following the Housing and Town Planning Act 1909. The council had been prompted to follow this new act by the Chairman of the Council, a Mr. Elgood, an architect, and the Clerk to the Council, Mr. Abbot. Members of the council had already raised concerns over some of the new building work around Eastcote and South Ruislip, and the new development near Northwood station which they described as "badly arranged and closely-packed". Together with King's College, the urban district council worked to establish plots of land for development around Ruislip and Ruislip Manor. A town planning competition was held, won by A & J Soutar from Wandsworth, who sought to create a symmetrical design spreading across Ruislip parish. Many of the woods and historic sites including Manor Farm were to be demolished and cleared as part of the plan, making way for a projected total of 7,642 homes, enough for 35,000 residents. Only St. Martin's Church would have been spared. 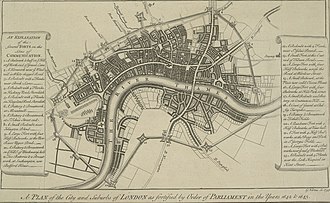 An outline map was made public on 30 November 1910 with few objections recorded. A Local Board inquiry followed on 17 February 1911 which required negotiations with landowners to allow for a full planning scheme to be compiled. This was presented in February 1913 with an adaptation of the original Soutars plan, receiving approval from the Local Government Board in September 1914. Three roads with residential housing, Manor Way, Windmill Way and Park Way were completed before the outbreak of the First World War when all construction work was halted. It did not resume until 1919. Manor Farm and the local woods eventually avoided demolition in January 1930, after the visit by a member of the Royal Society of Arts to choose the buildings that should be conserved. The Great Barn and Little Barn were singled out from the site, together with the old post office, the Old Bell public house and the Priest's House of the local church. The woods were included in a sale by King's College to the district in February 1931. Park Wood was sold for £28,100 with Manor Farm and the old post office included as a gift to the people of Ruislip. 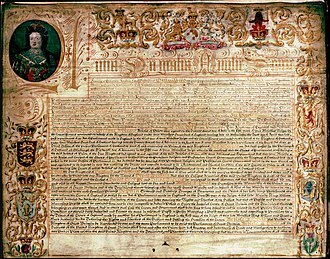 King's had wished to also present the wood as a gift but was required by the University and Colleges Act to receive payment as it was the trustee of the land. Middlesex County Council contributed 75% of the cost as the urban district council argued that many of those who would make use of the land would be recreational day-trippers from outside the district. Under a 999-year lease, the council agreed to maintain the wood and ensure no new building was constructed without the permission of the county council. An area of the wood to the south was not included in the lease agreement and three residential roads were later constructed on it. Ruislip War Memorial moved to its present position in 1976. Copse Wood was later purchased by Middlesex County Council and London County Council in 1936 for £23,250, later joined by Mad Bess Wood in the same year. The urban district council purchased the 186 acres (75 ha) wood together with Middlesex and London County Councils for £28,000 in a compulsory purchase from Sir Howard Stransom Button. Sir Howard became High Sheriff of Middlesex in 1937. On 19 December 1946 a Railway Air Services Dakota 3 airliner taking-off from Northolt crashed into a house in Angus Drive, Ruislip, fortunately with no serious injuries to anyone, either in the aircraft or on the ground. On 6 January 1948 a British European Airways Vickers VC.1 Viking flying from Renfrew Airport to RAF Northolt crashed in a ploughed field approximately five miles from the runway. The crew had tried to land the aircraft twice unsuccessfully when the aircraft struck a tree on the third approach attempt. Of the 18 passengers and crew on board, one crew member was killed in the crash. In 1961, the Portland Spy Ring was uncovered. Peter and Helen Kroger were found to have been involved, while living in Ruislip. They were visited each Saturday evening by Gordon Lonsdale and were eventually placed under police surveillance. 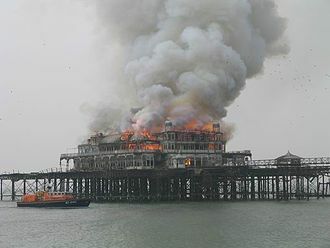 The Krogers were eventually arrested and found to have codes, a microdot reader and film of the Admiralty Underwater Weapons Establishment in Portland Harbour concealed within ordinary household items. A radio transmitter hidden in the garden was not retrieved until 1977. Primrose Hill Farm was demolished to make way for housing in 1965. Field End Farm, covering 50 acres (20 ha) at the junction of Wood Lane and West End Road, was demolished in 1966. The farmhouse had been owned by the manor of Northolt under the name of Berrengers. Bishop Winnington Ingram School moved to Southcote Rise in 1968 and the original school building was demolished. In 1976, the war memorial dedicated to those killed during the First World War was moved from the graveyard of St Martin's to the entrance of Manor Farm. Bury Street Farm near the Plough was demolished in 1980. In 1984, the Battle of Britain House, built within Copse Wood in 1905, was destroyed by fire and the ruins demolished. The house became a college in 1948 and included plaques with the crests of all Royal Air Force squadrons involved in the Battle of Britain as a memorial. In April 2007, restoration work began on the Manor Farm site using funding from the Heritage Lottery Fund. The work was completed in June the following year, and included the renovation of the Grade II listed library. The Duck Pond Market began in the Great Barn in December 2008, following the refurbishment, and runs once a month. Winston Churchill Hall on the site received a £370,000 grant from Hillingdon Council in March 2011 to enable its refurbishment. Ruislip formed an ancient parish of 6,585 acres (26.65 km2) in the Elthorne hundred of Middlesex. Following the Poor Law Amendment Act 1834, the parish lost control of poor relief to Uxbridge Poor Law Union and it was grouped into the Uxbridge rural sanitary district in 1875. In 1894 the sanitary district was replaced by Uxbridge Rural District and the parish vestry was replaced with a parish council. Due to increasing population, the parish split off from the rural district and formed the Ruislip-Northwood Urban District, with the parish council replaced by an urban district council. The urban district was abolished in 1965 and was transferred to Greater London to form part of the newly established London Borough of Hillingdon. Within the London Borough of Hillingdon, Ruislip is covered by three electoral wards: Eastcote and East Ruislip, South Ruislip and West Ruislip. Ruislip is part of the Ruislip, Northwood and Pinner constituency within the UK Parliament, represented by Nick Hurd MP. Primary schools in Ruislip include Bishop Winnington Ingram Church of England Primary School, Sacred Heart Catholic Primary School, Bourne Primary School, Lady Bankes Infant School, Lady Bankes Junior School, Warrender Primary School, Whiteheath Infant School, and Whiteheath Junior School. Secondary schools include Bishop Ramsey School, and Ruislip High School. Ruislip has two Non-League football clubs – Hillingdon Borough F.C., which plays at the Middlesex Stadium and Wealdstone FC based at the Grosvenor Vale Stadium. Grosvenor Vale Stadium also played host to Ruislip Manor F.C. between 1938 and 2008, (when the ground was known by a different name ) before the non-league club folded following a period of financial uncertainty during its latter two trading years. Ruislip Rugby Club is based in West End Road and was formed in 1954, succeeding an earlier club from around 1950. The club's ground is at West End Road in Ruislip. Ruislip Golf Course, on Ickenham Road, was opened in 1922, and is operated by a private company on behalf of the London Borough of Hillingdon. Ruislip is also the home of Eastcote Hockey Club, based at Kings College playing fields. The club was originally based in Eastcote, from where it took its name, but moved to the present location in 1964. The original Ruislip Village in 1907, looking towards St. Martin's Church with the Duck House to the left. The buildings at the north end of Ruislip High Street, Nos 1 to 15, the Duck House restaurant and the Swan public house, which has since been operated as Cafe Rouge, form the core of the original village and are Grade II listed. This area formed the village square, at the junction of the High Street, Bury Street and Eastcote Road. The village water pump was sunk in the centre of the square in 1864, to a depth of 105 feet (32 m) 9 inches (230 mm), though was moved to be beside the Manor Farm Lodge in the 1970s. It was moved again in 1982 to sit outside 7–15 High Street. To the north of Ruislip High Street, the 22 acres (8.9 ha) Manor Farm site incorporates the remains of settlements dating back to the 9th century, as well as buildings including the Great Barn, dated by English Heritage as having been built around 1280. A working farm until the 1930s, the farm was let by King's College, Cambridge, the owners of the land from 1500 to the mid 20th century. It has been designated as a local heritage site and was refurbished between 2007 and 2008 with funding from the Heritage Lottery Fund. Ruislip Lido is a nineteenth century reservoir with an artificial sand beach, surrounded by woodlands through which runs the Ruislip Lido Railway, a miniature 12" gauge railway with diesel and steam locomotives. The Lido was established as a reservoir to feed the Grand Union Canal by damming and flooding the lower part of the valley between Park Wood and Copse Wood, including the hamlet of Park Hearn. Work began in 1811; the consulting engineer John Rennie announced completion of the project to the Grand Junction Waterworks Company on 5 December that year. Unsuccessful as a canal feeder lake, it was reconstructed as a pleasure resort in 1933. Following the extension of the Metropolitan Railway to Ruislip, and the resulting influx of visitors to the area, Albert Cross built a bungalow from where teas were served to day-trippers. This became a success and Cross had the building expanded, which soon became the Orchard Hotel. Between 1933 and 1971 it became an Ansells licensed bar and well known high class restaurant. It then became a (Berni Inn) then Beefeater steak house, which it remains, and was recently extended with a Premier Inn hotel. During the Battle of Britain, the Orchard was very popular with the pilots of No. 303 Polish Fighter Squadron stationed at RAF Northolt, who celebrated many of their successes in battle there. 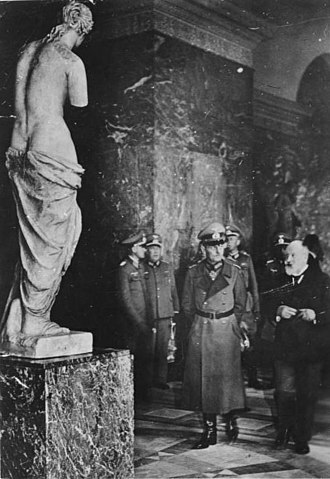 The owner was known to open a bottle of champagne for each German aircraft shot down by the squadron. Optical mineralogist Stuart Olof Agrell (1913–1996) was born in Ruislip. Lady Mary Bankes (c. 1598–1661), Royalist figure of the Royal Pharmaceutical Society, lived in Ruislip. Lady Bankes Infant and Junior School is named after her. Experimental musician Paul Burwell (1949–2007) was born in Ruislip. Conn Iggulden, author, went to Sacred Heart Roman Catholic Primary. Poet Peter Levi (1931–2000) was born in Ruislip. Actress Lana Morris (1930–1998) was born in Ruislip. Author Leslie Thomas wrote a novel about Ruislip titled, Tropic of Ruislip. Actress Jessie Matthews (1907-1981) is buried in St Martins graveyard. 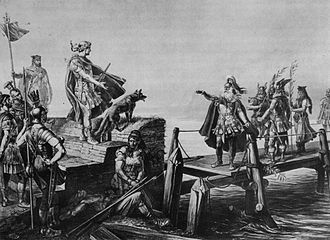 a ^ A hide was originally an amount of land suitable for supporting a household, but became a measure for assessing land for tax in Anglo-Saxon England. b ^ A virgate was a unit of land area measurement used in medieval England, and was held to be the amount of land that a team of two oxen could plough in a single annual season. ^ 2001 census statistics avoiding overlap, approximation. ^ a b "Listed buildings" (PDF). London Borough of Hillingdon. Archived from the original (PDF) on 8 June 2011. Retrieved 29 March 2011. ^ a b Great Britain Historical GIS / University of Portsmouth, Ruislip parish (historic map) population (area ). Retrieved 10 March 2010. ^ Delafons, John (1997). Politics and preservation. London: Routledge. p. 37. ISBN 978-0-419-22400-6. ^ "Accident description". Aviation Safety Network. 2011. Retrieved 1 November 2011. ^ a b "Manor Farm, Ruislip". Ruislip, Northwood & Eastcote Local History Society. Archived from the original on 7 February 2011. Retrieved 12 April 2011. ^ "Speak up! Libraries turn new page". BBC News. 19 September 2008. Retrieved 14 March 2011. ^ "Artisan Food & Craft Market". Duck Pond Market. Retrieved 5 December 2011. ^ Cracknell, James (14 March 2011). "Churchill's theatre shows fighting spirit". Uxbridge Gazette. Retrieved 15 May 2011. ^ "Your Councillors by Ward". London Borough of Hillingdon. 2011. Retrieved 5 December 2011. ^ "About Ruislip, Northwood and Pinner". Nick Hurd MP. Archived from the original on 26 May 2011. Retrieved 5 December 2011. ^ "Contact details for Bishop Winnington Ingram CofE Primary School". London Borough of Hillingdon. 20 December 2010. Retrieved 5 December 2011. ^ "Contact details for Bourne Primary School". London Borough of Hillingdon. 20 December 2010. Retrieved 5 December 2011. ^ "Contact details for Lady Bankes Infant School". London Borough of Hillingdon. 20 December 2010. Retrieved 5 December 2011. ^ "Contact details for Lady Bankes Junior School". London Borough of Hillingdon. 20 December 2010. Retrieved 5 December 2011. ^ "Contact details for Whiteheath Infant School". London Borough of Hillingdon. 20 December 2010. Retrieved 5 December 2011. ^ "Contact details for Whiteheath Junior School". London Borough of Hillingdon. 20 December 2010. Retrieved 5 December 2011. ^ "Bishop Ramsey Church of England School". London Borough of Hillingdon. 16 September 2011. Retrieved 5 December 2011. ^ "Contact details for Ruislip High School". London Borough of Hillingdon. 27 September 2011. Retrieved 5 December 2011. ^ "History". Ruislip Rugby Club. 2011. Retrieved 19 October 2011. ^ "Ruislip Golf Course". London Borough of Hillingdon. 12 January 2011. Retrieved 24 June 2011. ^ "The History". Eastcote Hockey Club. 2011. Retrieved 22 September 2011. ^ McBean, K. J. (21 March 2011). "A history of the Manor Farm site". London Borough of Hillingdon. Retrieved 13 April 2011. ^ Pillinger, Colin; Hutchison, Robert; Scott, Robert. R. D. (1996). "Memorial: Stuart Olof Agrell". Meteoritics and Planetary Science. Meteoritical Society. 31: 931–932. Bibcode:1996M&PS...31..931.. doi:10.1111/j.1945-5100.1996.tb02127.x. Retrieved 28 November 2011. ^ "History of the School | Lady Bankes Junior School". www.ladybankes-jun.hillingdon.sch.uk. Retrieved 2017-01-04. ^ "Paul Burwell". The Independent. 9 February 2007. Retrieved 28 November 2011. ^ Sale, Jonathan (14 October 2009). "Passed/Failed: An education in the life of author Conn Iggulden". The Independent. Retrieved 19 April 2018. ^ Forbes, Peter (3 February 2000). "Peter Levi". The Guardian. Retrieved 28 November 2011. ^ Vallance, Tom (30 May 1998). "Obituary: Lana Morris". The Independent. Retrieved 28 November 2011. Wikimedia Commons has media related to Ruislip. Ruislip Lido is a reservoir and artificial beach in Ruislip, within the London Borough of Hillingdon, situated between Ruislip Common, Ruislip Woods, and Poors Field. Originally opened as a reservoir for the Grand Junction Canal in 1811. A narrow gauge railway, the Ruislip Lido Railway was opened in 1945, the project involved the return of boating and swimming in the reservoir, which had previously not been possible due to pollution and an artificially low water level. The valley that the land covered was dammed and flooded, the reservoir was opened on 5 December 1811 as one of the feeder reservoirs for the Grand Junction Canal by engineer John Rennie and constructor Hugh Mackintosh. The link to the canal did not fulfil its intended purpose, the canal is located some distance to the west and a culvert was built to lead water to the canal at Hayes Bridge which is seven miles from the Lido. Some of the route was underground and parts have been built over, part of the route includes a little-known aqueduct which carries the canal feeder over the River Pinn near Woodville Gardens. The reservoir was developed as a lido in 1933, with an Art Deco style main building designed by George W. Smith, the formal opening was by Earl Howe in 1936. The building included a cafe and changing rooms, and featured a terrace with steps leading into the swimming pool. The pool was built with a base, and jetties on either side. Rowing boats were available for hire, with boathouses on the side of the reservoir. An enclosed boating area for children was constructed, the reservoir became a popular location for water-skiing, and televised championships were often held there. One of the Ruislip Water Ski Clubs founding members was the former Doctor Who actor Jon Pertwee, Ruislip Sailing Club was based at the lido, using the Graduate and Solo dinghy types. In the 1970s, the water level was artificially lowered to prevent the flooding of nearby housing, making it unsuitable for dinghy sailing. Several films were made there, including The Young Ones with Cliff Richard and A Night to Remember, the railway was opened in 1945 with short trains being hauled by Prince Edward, an Atlantic-type steam locomotive. Nicholas Richard Hurd is the Conservative Member of Parliament for Ruislip and Pinner. He was Parliamentary Under-Secretary of State for Charities, Social Enterprise, in November 2015, Nick Hurd was appointed Parliamentary Under Secretary of State for international development following the resignation of Grant Shapps MP. In July 2016, he was appointed Minister of State with responsibility for Industry and Climate change at the newly created Department for Business and Industrial Strategy. After attending Sunningdale School and Eton College and Exeter College, Hurd ran his own business, in 2002, he set up the Small Business Network to advise the Conservative Party on business policy. More recently, he worked as Chief of Staff to Tim Yeo MP, who at the time was Shadow Secretary of State for Environment and Transport, the Hon Nick Hurd MP is currently Minister of State for Climate Change and Industry. During the coalition government he was Minister for Civil Society from May 2010 until July 2014, during which time he led the work on setting up the National Citizen Service and Big Society Capital. He was Chairman of the Climate Change sub-group of the Conservative Partys Quality of Life policy review commission and he has served as a member of the Environmental Audit Select Committee before becoming a minister. Hurd came top in the Private Members Bill ballot in November 2006 and this achieved its third reading in June 2007 and after being passed by the House of Lords, the Sustainable Communities Act 2007 received Royal Assent in October 2007. Hurd was promoted by David Cameron to the Opposition Whips office in July 2007 and he served as Opposition Whip until his appointment as Shadow Minister for Charities, Social Enterprise and Volunteering in October 2008. He is the generation in the male line of his family to be elected to the House of Commons as a Conservative. 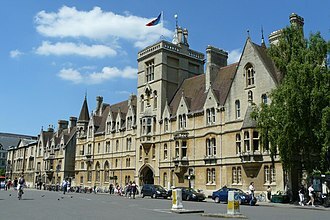 Hurd met his first wife Kim Richards at Oxford University, the couple had two sons and two daughters together. In 2008, they divorced twenty years of marriage. In 2010, he married Lady Clare Kerr, daughter of the Conservative politician Michael Ancram, on 17 May 2012, Lady Clare Hurd gave birth to a baby girl, Leila. The Ruislip Lido Railway is a 12 in gauge miniature railway around Ruislip Lido in Ruislip,14 miles west of central London. Willow Lawn station was known as Ruislip Lido station. The line is the longest exact 12 in gauge railway in the United Kingdom, there was formerly a terminus at Eleanors Loop, and the site of this station can still be seen. Another former terminus at Haste Hill is now a request stop station, Haste Hill became a temporary terminus of the line again in early 2013 owing to major works at Willow Lawn station. The Woody Bay to Wellington Junction section of the features a double track, with passing loops at Eleanors Loop. There is a crossing between Haste Hill and Willow Lawn stations. Originally built by the Grand Union Canal Company over a shorter route. Following several years of decline under the ownership of the local council, the railway was built in 1945 by the Grand Union Canal Company as part of Ruislip Lido, with short trains hauled by the Atlantic-type steam locomotive, Prince Albert. One or two people normally staffed the line with major work contracted out, Prince Edward was replaced by a petrol-electric locomotive in 1959, although the antiquated 12 in gauge meant locomotives and rolling stock were not widely available and therefore expensive. The RNUDC became part of the London Borough of Hillingdon in 1965, subsequent neglect of the lido as well as its entrance fees reduced visitor numbers. In the mid-1970s the original locomotive broke down and a new one was purchased from manufacturer Severn Lamb and it did not run for long due to a 1978 accident, which injured several people. The railway was shut and soon began to display signs of dereliction. In 1979, the Ruislip Lido Railway Society was established to take on the running of the railway, keeping the line open became a struggle, with either too few passengers to pay for fuel or too many for the trains to accommodate comfortably. Despite this, work commenced on an extension around the lido to the car park. Leaving the circuit near where the accident happened, the line carried on through woodland to Eleanors Loop, a new locomotive was ordered from the Ravenglass and Eskdale Railway in Cumbria, and named Lady of the Lakes. Ruislip Manor is an area of Ruislip in the London Borough of Hillingdon. It is located approximately 13 miles north west of Charing Cross, the construction of a halt on the Metropolitan Railway in the area in 1912 led to the development of Ruislip Manor, on what was rural land. Ruislip Manor was originally owned by Kings College, Cambridge, as a part of the Manor of Ruislip. At the turn of the 20th century, Ruislip Manor was undeveloped land until a halt was constructed in 1912 as part of the Metropolitan Railway running between Harrow and Uxbridge. George Ball purchased 186 acres to the south of the line from Kings College with construction of the new estate taking place between 1933 and 1939. Ball hoped the new housing would be available to the man who wished to purchase his own home. The original plan under the Manor Homes name had been for 2,322 homes which Ball agreed would not number more than 14 per acre. The total number of houses was reduced by 50 in 1934, a further 35 in 1935, to allow the inclusion of Lady Bankes Primary School, St.
Pauls Church. The school was designed by the Middlesex County architect W. T. Curtis, a temporary school was opened by the Ruislip-Northwood Urban District Council on 17 October 1934 in the Victoria Hall. Lady Bankes school opened on 7 January 1936, named after Mary, the railway halt was rebuilt as a station in 1938 and became Ruislip Manor tube station. 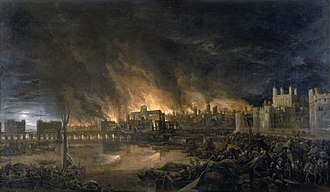 Along with surrounding areas, Ruislip Manor suffered from heavy aerial bombardment from the Luftwaffe during the Second World War because of its proximity to the fighter airfield RAF Northolt. Children from Bourne Junior School in South Ruislip were sent to Lady Bankes School after their school was requisitioned by the Royal Air Force, some of the children from Lady Bankes were accommodated at Sacred Heart School nearby. In 2006 Ruislip High School opened to an intake of Year 7 pupils. Ruislip Manor library was sold for development by the London Borough of Hillingdon in 2007 and rebuilt on the site of the Victoria Hall, the new library opened in October 2007. 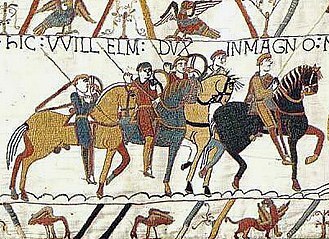 William the Conqueror as depicted in the Bayeux Tapestry. William Rufus depicted enthroned and on horseback on his great seal. The Great Barn, built around 1280 It incorporates a medieval farm complex, with a main old barn dating from the 13th century and a farm house from the 16th. Nearby are the remains of a motte-and-bailey castle believed to date from shortly after the Norman conquest of England. 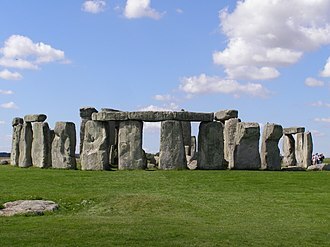 Original groundwork on the site has been dated to the 9th century.